The annual Memorial Day Camping Trip has been a tradition for Westside Chinese School families for many years, and is a great example of the community that is so strong at our school. 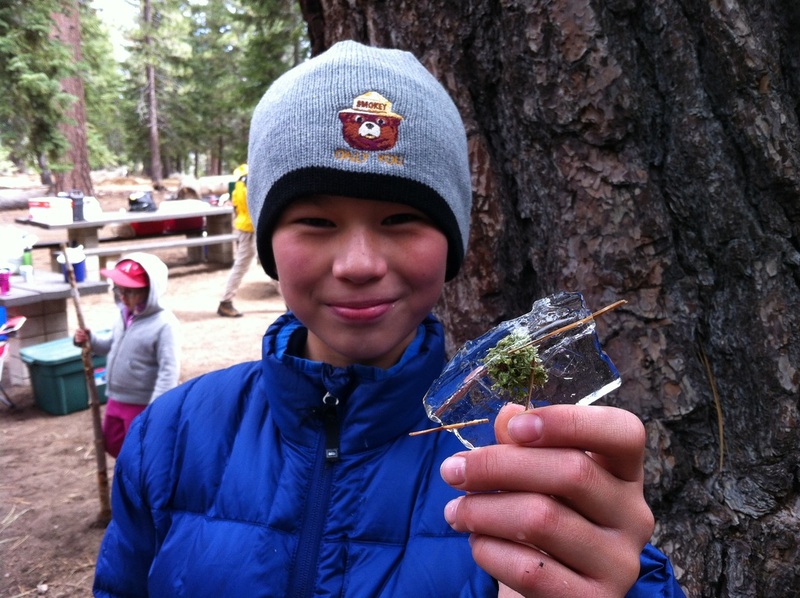 Past camping locations have included Lake Cachuma in Santa Barbara, San Onofre in Orange County and Jackson Flats in Wrightwood. 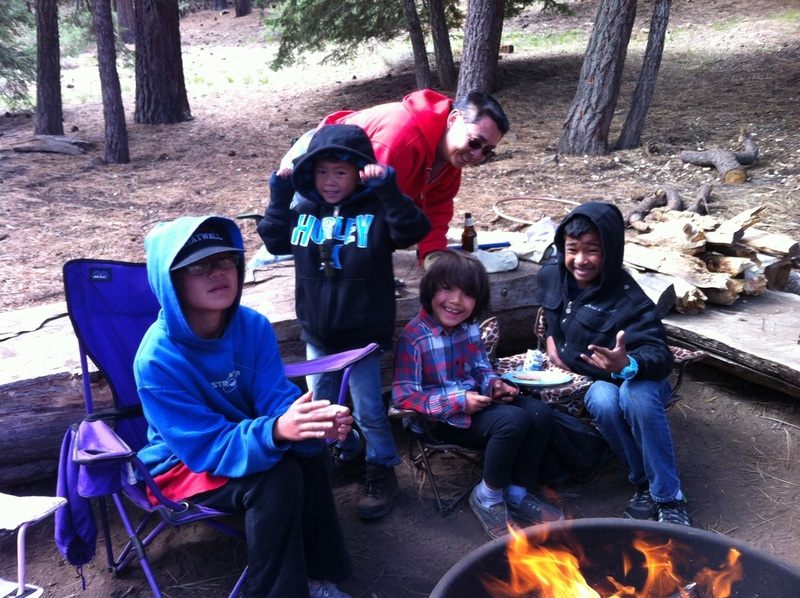 Attending families participate in a group dinner on Saturday night and kids take part in camp games on Sunday, in addition to the various other activities available in each particular campground (hiking, beach going, fishing, swimming, etc). 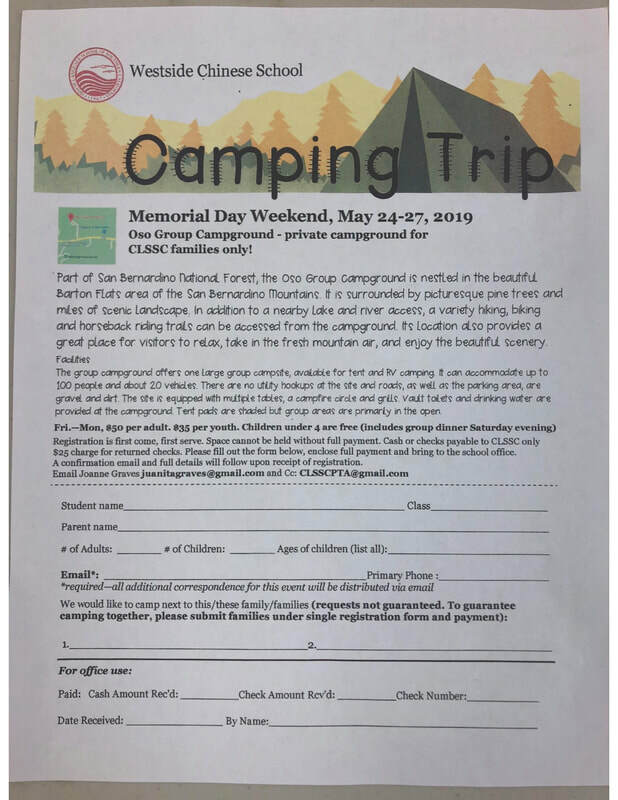 For more information about the 2019 Memorial Day Camping Trip, please contact the PTA President Sharon Savene. 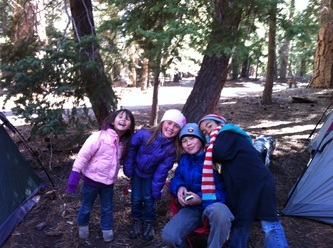 Over 30 families participated in our 2012 camping trip at Jackson Flats Campground, Wrightwood. 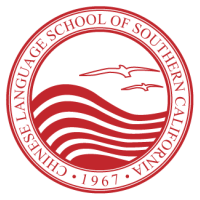 Because the school was able to book the entire campgrounds, some CLSSC families brought friends who were not part of the school, and we also hosted families from Broadway Elementary's Mandarin Immersion Program. 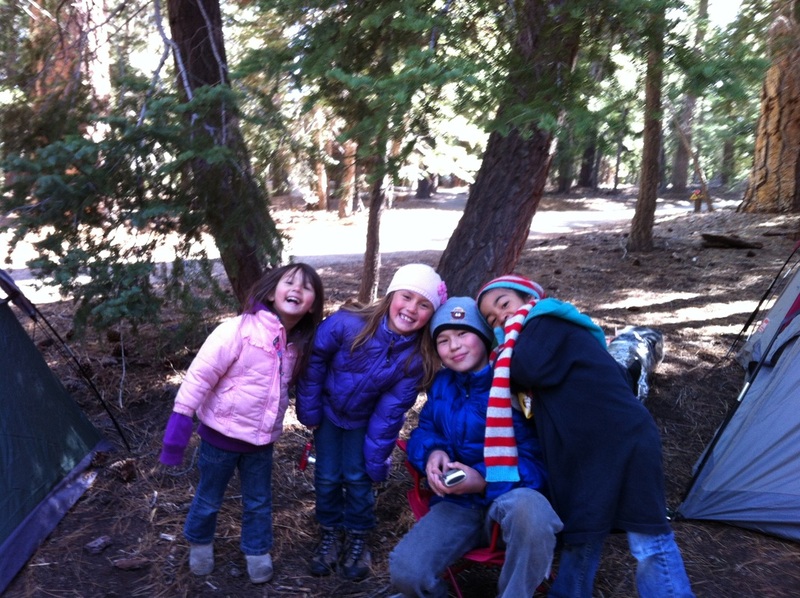 Altogether approximately 130 people braved the unseasonably cold weather at the absolutely beautiful campground. Saturday night was our group dinner, with hot dogs, hamburgers, corn, watermelon (although it was much too cold to eat the watermelon) and s'mores. When the weather was warmer on Sunday and Monday, some traveled down to nearby Jackson Lake for fishing and swimming, and we also held group annual camp games for the kids on Sunday afternoon.